Love him or loathe him, the Big Cat is back on Tour next month and the golf-o-sphere is going crazy about it already. The golf purists are mumbling about how the TV cameras will show Tiger putting his clubs in his car before they’ll show anyone else hit a golf shot. The Tiger fanatics are claiming that golf is nothing without him and with all of the skill that Spieth, Day, Fowler, Johnson, and McIlroy have, they can’t capture the imagination like Woods. 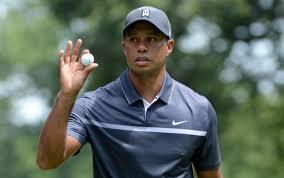 It’s been more than a years since Woods has hit a ball in anger. After a torrid year where he struggled with every part of his game at one point or other, a 10th place finish at the Wyndham Championship offered a ray of hope. However before long he was under the surgeon’s knife again, twice. Double back surgery towards the tail end of last year left him with ‘no light at the end of the tunnel’ and the eulogies started to flow in. Seemingly out of nowhere last week he announced that his body was feeling good and we’d be seeing him again at the Safeway Open and, all going well again in Turkey and at the Hero World Challenge. So what can we expect from a golfer who on the one hand is probably the greatest player to ever pick up a club, but on the other hasn’t played well in 3 years? If you’re a little less optimistic you can have 3/5 that he’ll make the cut which puts him at about a 68% chance, which seems fair enough. How about a top 10 finish. It’s probably optimistic but not completely outside the bounds of possibility. Right now that’s sitting at a tantalising 7/2 which should get a few casual golf fans on board for some fun. If you want some instant gratification, you can get 4/6 that he hits the fairway with his first drive. Personally I wouldn’t touch that one and would bet HEAVY on the other side. In the longer term, Paddy Power have priced up lots of Tiger specials including 12/1 to win a tournament in 2016 (no thanks), 6/1 to win a tournament in 2017 (that’s more like it), and 11/10 to ever win another PGA tour event. You can have 7/2 that he retires by the end of 2016, which is a ridiculously short price. 10/3 that he wins another major which again is a little short for me. Last on the list 1/4 to ever make the cut in a major again. Short odds but it really seems like free money.